We are facing a crisis in America. Housing costs are going up, while wages remain the same. Houston has a great job market although this is still hitting our city hard. Higher housing costs have lead to more working families seeking rent and utility assistance in Houston. If you are having problems paying your utility bill, this article will help you find agencies in the city who are willing to help. Before I tell you how to find utility assistance in Houston, I need to explain the basics. Once you are familiar with the basics you will have a better chance of obtaining rent or utility assistance in Houston. 0.1.1 Is It Difficult To Find Utility Assistance In Houston? 0.1.2 Can Family Members Help You? 0.1.3 What Documents Are Needed For Utility Assistance In Houston? 0.1.4 How To Make An Appointment For Utility Assistance In Houston? In the following paragraphs I will provide a general overview of how utility assistance in Houston works. Each agency is different therefore you will need to contact each to learn about the exact steps needed to obtain rent and utility assistance. Is It Difficult To Find Utility Assistance In Houston? Finding help to pay your bills can be competitive. Times are tough and because of this there are lots of people who seek help with rent and utility assistance. I don’t say this to discourage you from calling any of the agencies in this article. I say this because I don’t want to mislead you into thinking this will be an easy task. Finding help could require multiple calls each day. If you’re denied don’t give up, this is just part of the process. Each call is a learning experience. Learn the receptionist name. Tell them your name. 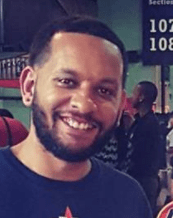 Do anything you can to make a connection, because if you can build a relationship you may receive more help on future calls. Also if you are denied, politely thank them for their time and ask them if they can recommend any other agencies who can help? Many of these agencies network with each other. There was one client in the past who owed $1200 in utilities. The agency that we called agreed to help but they could only contribute $800. This agency then provided me with the name of someone with another agency who could pay the remainder of the $1200 owed. Can Family Members Help You? As you will see later in this article there are plenty of agencies who can help you. The problem is many come with lots of requirements. When nonprofits receive government grants they have to account for every penny spent. Because of this they will require lots of documents from you. An easier solution to this is having family or friends to help you with utility assistance. When compared to a nonprofit, there is far less competition when asking a family member for help. Before asking a family member for help have a game plan of how you intend to pay them back. Think about the timeframe it would take. Are you willing to pay them interest? If you have a useful skill (babysit, cutting the yard, etc) can you trade those services for help paying your bills? If you can provide them with a clear plan of how you intend to pay them back you will improve your chances of them helping you out. What Documents Are Needed For Utility Assistance In Houston? 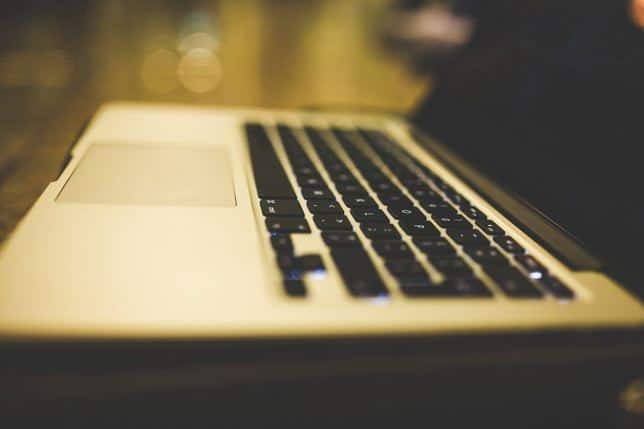 Most agencies require that you provide either a disconnection notice for utility assistance in Houston or an eviction notice for rental assistance. In addition to these documents you will likely need to provide your ID, mail in your name and a valid reason why you need utility assistance in Houston. These are only a few examples. As I stated earlier these agencies must account for every dollar they spend, so they need a valid reason to provide you with assistance. If they ask you why you cannot pay rent don’t take it personal. They want to help you, but they need to justify why they helped you to the people who gave them the government funds. How To Make An Appointment For Utility Assistance In Houston? Most agencies will require that you call them to make an appointment. If there are agencies who accept walk-ins for utility assistance they are definitely rare. Typically these agencies only accept a set number of clients each day, which is why its important that you wake up early and begin calling early. Here is how Christian Community Services works. They start taking calls at 10am on weekdays. Despite this its advised that you start calling Christian Community Services at 9:50 am to ensure you receive an appointment. Lots of people call for assistance so plan to wake up early and start calling 10 to 15 minutes prior to the agency opening. Below you will find an interactive chart where you can search for rent and utility assistance in Houston. This article is primarily geared toward those needing rent and utility assistance in Houston although you will also find resources geared toward food, clothing, shelter and housing assistance. Next we will show you where you can go for rent and utility assistance in Houston. In the table below you will find 60 or more agencies in Houston who help with rent, utility, food and other services. Use the search to find agencies according to your need or zip code. Some of the numbers below may be incorrect. These organizations sometimes close, therefore use this as a starting point to find utility assistance. To compensate for wrong numbers we have included links to each agency. Click on any link that says web and this will redirect you to the agency’s website or Facebook page. If you come across any information that is incorrect, tell us about it in the comments so that we may correct it for others. AIDS Foundation HoustonWeb 6260 Westpark Dr #100 713.623.6796 Only offers assistance to clients with HIV and AIDS. Offers housing, mental health, substance abuse, assistance applying for SNAP, TANF, Medicaid, Texas Women's Health Plan Harris County M-F 930 to 4pm. Walk ins welcome but priority is given to those with appointments. Baytown Resource & Assistance Center Web 5309 Decker Dr 281.424.5752. *Must make an appointment. Utilities, Clothing for Children, Employment assistance services Residents of McNair, Baytown, Highlands or Chambers County Mon: 8 to 5pm. Closed from 12 to 1pm for lunch. Housing Authority of City of HoustonWeb 2640 Fountain View Dr 713.260.0600 Housing Choice Vouchers and Public Housing M-F 8a-5p *By appointment. MANNA - Ministry Assistance of the Near Northwest Allicance Web 1806 W. 43rd Street 713.682.7556 Utility, Gas, Rent, Clothing, Food, Assistance with SNAP, TANF, Medicaid, CHIP, 77007, 77008, 77009, 77018, 77022, 77037, 77040, 77076, 77088, 77091, 77092, M: 8 to 11, Tues and Thurs: 915 to 1115am. Memorial Area MinistriesWeb 1625 Blalock English 713.574.7533 Spanish 713.574.7536 Rent, water, gas, medical assistance, prescriptions, transportation, clothing, Rapid Re-Housing, 77008, 77009, 77018, 77022, 77024, 77037, 77039, 77040, 77041, 77043, 77055, 77076, 77079, 77080, 77088, 77091, 77092, M-F 9a - 4p. Call between 9a - 12p M-F to set up an appointment. Northwest Assistance Ministries Web 15555 Kuykendahl 281.583.5600 Rent, mortgage, gas, water, prescriptions, gas vouchers, dental and medical, 77014, 77032, 77038, 77050, 77060, 77064, 77066, 77067, 77068, 77069, 77070, 77073, 77086, 77090, 77373, 77379, 77388, 77389, Tues 1p-4p Call for an appointment. Operation ID Web 5100 Travis Street 713.620.6476 Texas Identification Card Harris County Tues & Thurs 9a-1130a. You will need a referral/voucher from an agency that Operation ID partners with. Riceville Baptist ChurchWeb 11231 Gessner 713.774.4880 Food, clothing, financial assistance, prison ministry 1st Wed of Month, 6p. Call for appointments. St Mary Magdalene Church 527 South Houston Ave, Humble 281.540.1907 Rent, Utilities, Food, NE: 77338, East of Lee Rd, 77346, (Only apartment complexes) M, W, F only. 930 to 1145am - 1st 12 people. Tomball Emergency Assistance Ministries (TEAM) Web 300 W Main Street Tomball, TX 77375 281.351.6700 Utilities, Gas vouchers, Clothing, Food, Medical and Dental vouchers, Temporary Shelter Tomball zip codes 77375, 77377 or you live within Tomball school district. Tues and Thurs: 10am to 1pm. Application must be completed in person. Wesley Community CenterWeb 1410 Lee Street 713.223.8131 ext 245 Rent, Utilities, Food, Financial Education, Employment coaching, Help applying for Medicaid, SNAP, TANF, Harris County Friday Starts at 8am. Appointments Only. No appointment needed for Food. We want to thank Harris County Community Services for putting together this monster resource guide about utility assistance in Houston. To simply write an article like this took a whole Saturday night, so we are grateful for the effort Harris County Community Services put into creating this guide! If you need rent or utility assistance there is nothing to feel ashamed of because lots of people are feeling the effects of higher housing cost and stagnant wages. Obtaining rent or utility assistance in Houston is no walk in the part. It will require effort on your part. If you have family members who can help you definitely try them first. Where ever you go for help with we wish you the best of luck. Be patient you will find the help that you and your family deserve. 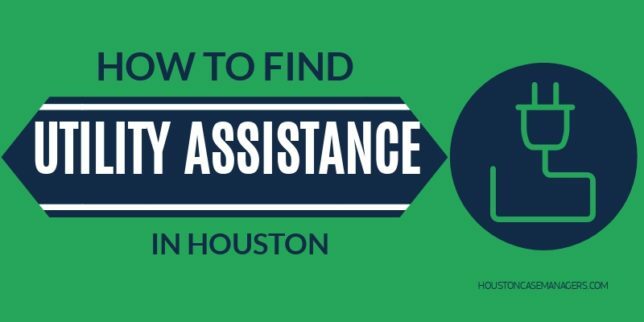 Have you had any luck finding rent and utility assistance in Houston? If so tell others how you found success in the comments.